G‑d doesn't charge you to pray... Neither do we!!! Join us for High Holiday services. No charges. No Membership. No Tickets. No prior affiliation. Period! Just say YES to an inspiring, educational, fun experience! To reserve your seat please fill out the High Holiday reservation form here! Donations are appreciated and needed to continue these wonderful programs! A guided, traditional, Hebrew-English Service is enjoyed by the novice and professional. Try it out - it's FREE. Here are times and venue. 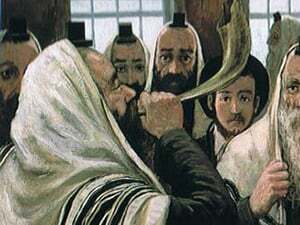 Hear the Shofar, Say the special Tashlich prayer and Dance the new year in style. Come and Bring a Friend. Have your loved ones remembered in the Yizkor book printed in honor of the four times a year Yizkor is said. The basic Rosh Hashanah observances, with links leading to more information. The Day of Awe: Rosh Hashanah, the Jewish New Year, and Yom Kippur, the Day of Atonement. Traditional Rosh Hashanah recipes. Classic recipes as well as exotic ones.